A number of religious groups have expressed support for the removal of the term blasphemy from the Constitution. On Friday voters will be asked whether they want to remove the reference to blasphemy from the Constitution, which dictates that it must be provided for elsewhere in law as a criminal offence. The Irish Catholic Bishops Conference is in support of removing blasphemy from the Constitution, describing the current law as "obsolete". The influential Catholic think-tank the Iona Institute has also said it will not be opposing its removal because the "principle behind it isn't strong enough to make it worth fighting for regardless". However, the Islamic Cultural Centre of Ireland (ICCI) said it will not be campaigning for or against the removal, but believes the current inclusion of blasphemy is "of vital importance". 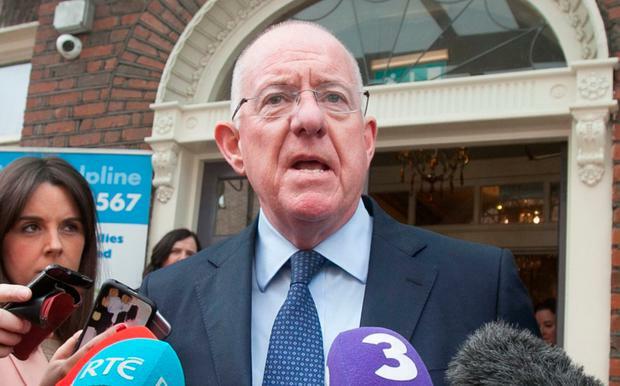 Justice Minister Charlie Flanagan, who is leading the campaign for a Yes vote, said: "It doesn't sit well in a modern Constitution, it hasn't had any effect in any event... it's outmoded and inconsistent with a society that values freedom of expression and freedom of belief." Mr Flanagan also expressed concern about low turn-out: "I accept that it's not an earth- shattering question and of course my concern is because it's not hugely controversial that the turn-out will be low." He said the inclusion of blasphemy puts our international reputation at stake with countries such as Pakistan, where blasphemy is treated as a very serious crime, pointing to its place in the Irish Constitution. The minister said the Garda investigation into comments made by Stephen Fry on RTÉ showed "just how difficult it is just to have an adequate definition of blasphemy when it is minded to have one in law". Rachel Farrell Comedian Stephen Fry has spoken for the first time since last week's vote on blasphemy, which saw an overwhelming majority vote to remove the current legislation. Maeve Sheehan and Catherine Devine With little fanfare and less debate, the people of Ireland deliverd a resounding vote to remove the crime of blasphemy from the Irish Constitution.